The portable LED Foldi™ Lamp features 30 bright daylight™ LEDs to give you comfortable full-spectrum natural daylight which is kind to your eyes, reducing glare which helps reduce eye strain, headaches and red-eye. The daylight™ light from this lamp significantly increases contrast and helps to make reading much easier. The Foldi™ will give up to 8 hours of bright white light on batteries and unlimited power using the USB connection to your laptop, making it the ideal travel companion or office lamp. 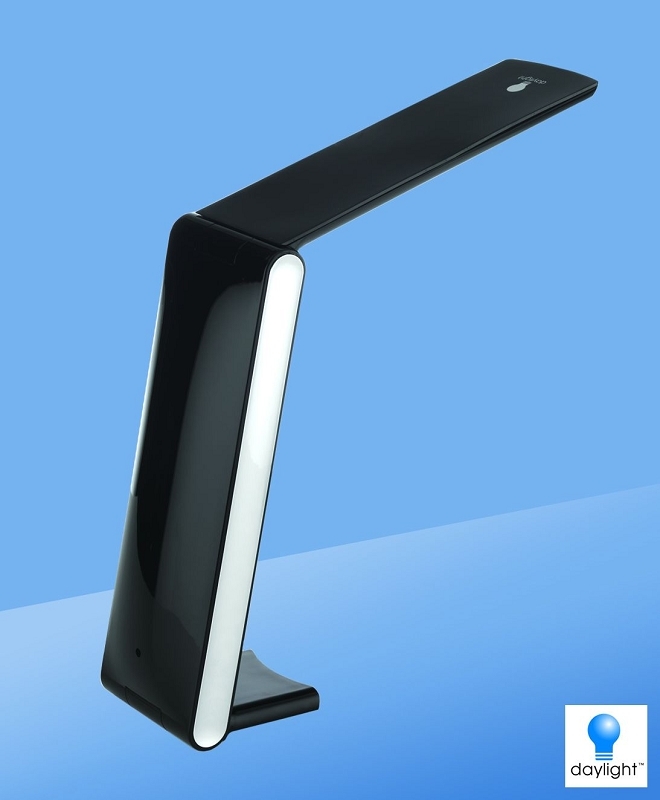 With its slim design and smooth lines, the LED Foldi™ Lamp truly is the finest portable designer lamp on the market. Daylight™ LEDs make small text and colors jump out!